The Gift of Greater Safety! 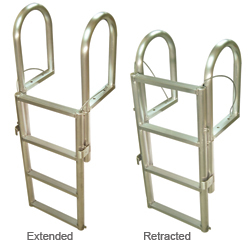 HarborLAB is very happy to announce that this week we’ll be purchasing a dock ladder for Gantry Plaza State Park to make it easier, less stressful, and safer for people to climb out of the water. To our volunteers and partners, an even safer 2015 is the best holiday gift of all! Unintended swims are a natural, if rare, part of kayaking. All participants and dock workers wear life vests, so not every dunk is an emergency. But every dunk has the potential to become an emergency should wakes, medical conditions, currents, or other factors add complications and dangers. It’s best to have a quick and safe way out of the water to where volunteers are ready to help. HarborLAB volunteers have been advocating for public paddling programs at Gantry Plaza State Park for over a decade, even before our organization existed! We’re grateful and thrilled that through the efforts of the New York State Office of Parks, Recreation, and Historic Preservation and Metropolitan Waterfront Alliance that our dreams were realized. We’re also deeply grateful to the Hunters Point Point Parks Conservancy for partnering on outreach and volunteer recruitment for the public program. We pioneered public paddling and floating science programs in the park this year, to the benefit of Baruch College, Hunters Point Community Middle School, 350.org, and other environmental education partners. 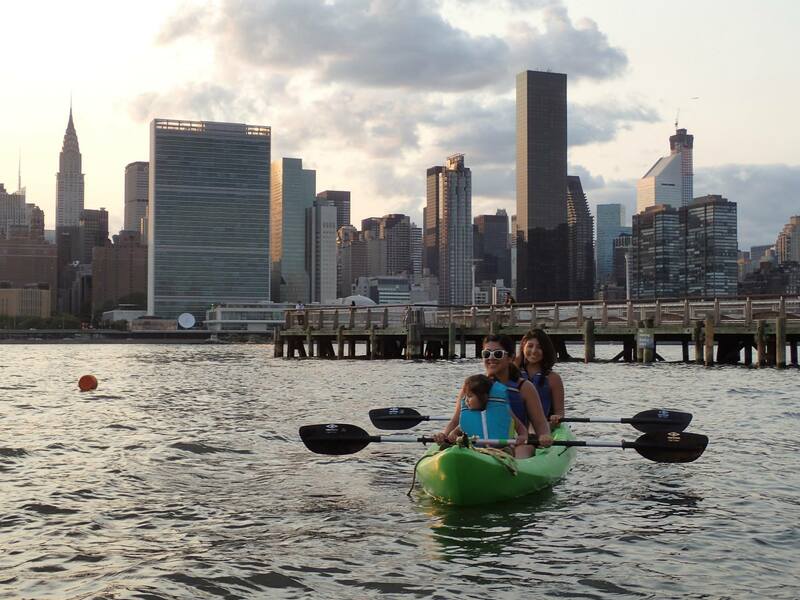 The ladder we install will also be a boon to other programs at Gantry Plaza State Park, such as the recreational paddling program produced by the Long Island City Community Boathouse, which was also founded by Erik Baard, founder of HarborLAB. HarborLAB is grateful to the New York State Office of Parks, Recreation, and Historic Preservation for permitting this ladder work and partnering with our skilled volunteers (contractors and mechanics) to see to the sturdiest and most user-friendly installation. We’ll look to the State to make the final determination of what ladder would be proper before we make the purchase from West Marine. We’re looking at lifting ladders and flip ladders to prevent slippery fouling of the lower rungs and damage at low tide. HarborLAB at Gantry Plaza State Park. Photo by Erik Baard.